Our private label product is one step closer to launching on Amazon’s FBA program, and the excitement is burning (excuse the poor pun on marshmallow roasting sticks). In our product launch case study, we have previously gathered private label product ideas, chose the product based on actual Amazon sales data, found manufacturers and suppliers on Alibaba, and negotiated our order. With the product ordered and set to arrive on our doorstep in early December, we are at the stage of preparing our Amazon listing so that once the product hits our doorstep and passes our quality inspection, we will take our product photos, and send in the shipments to Amazon warehouses. From there, it will be a simple click of the mouse to publish our fully-prepared listing. Just in time for holiday campfires! If you want to join our next webinar series, please head over to this page to register for free so that we can have you join us live at the next webinar and answer your specific questions. This week was a special occasion, as we had The Amazing Seller himself, Scott Voelker, join us! You most likely already know Scott from his great podcast and blog, where he hosts successful and insightful guests to dig deep into the details of creating, scaling, and replicating successful businesses on Amazon. Scott is incredibly generous and transparent with sharing knowledge about everything related to Amazon, so I knew this would be a great session. Last we spoke, we were working on getting our label and branding prepared (you can see the description and request we sent to our designer here). And here’s what the final label will look like, what do you think? Thanks to the wit of the chat room at the webinar for the “Jungle Stix” name! You’ll see that the suffocation warning is included as well, it was not necessarily a requirement (since our largest opening is likely smaller than 5 inches) , but included just to be safe. Erring on the side of caution is a modus operandi at Jungle Stix! The FNSKU was included on the label as well, which saves the $0.20 per unit instead of having Amazon apply it to each product. We are also all about cost efficiencies and finding profit in the pennies. While we did use our privileged position of having a graphic designer on our team, one could easily outline the design requirements as we did, and go to Upwork or Fiverr to get a logo designed and a label created. Alternatively, you may have Photoshop skills which could do the trick, or Scott recommends Canva. The design work is completed for the moment, and of course can always be tweaked in the future if we were to order another shipment. The first step we took to create an optimized listing was identifying the main keywords that we would want our Jungle Stix to rank for on any given Amazon search. As Amazon is one of the top search engines in the world (third biggest in terms of search volume, after Google and YouTube), creating our listing on the front end (for the potential customer) and backend (for Amazon’s algorithms) is of utmost importance. A helpful initial step is evaluating the keywords that competitive products use in the Title and Product Description. These are just a few of the keywords that we’ll use to start the listing, but the true keyword gold will come to us once we start our pay per click campaigns and we get actual customer search queries and see what search queries convert. 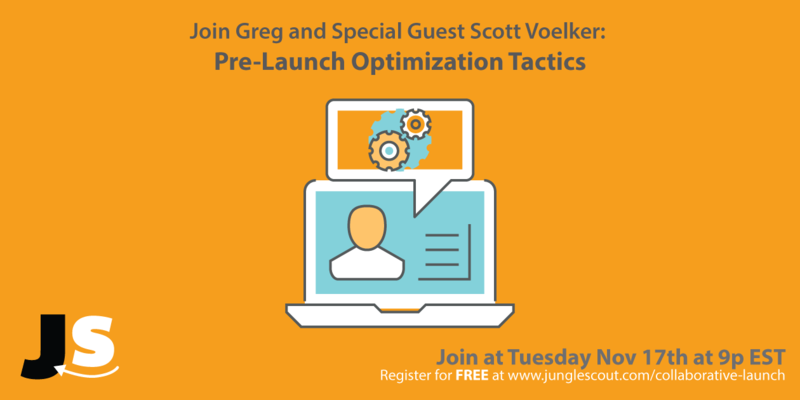 Scott shared a nifty Pro Tip in terms of creating a listing and positioning a product for Amazon SEO success before actual launch. Here it is: when creating the first draft of your listing, put the main keywords (also known as “head terms” in your Product Title, prioritized by importance. Leave the product description blank, save and exit the listing. At this point, you have enough of a listing for Amazon to potentially start indexing it in their product catalog, and could position your product rank for the head terms you included in the Title, as well as have those terms included in the URL. At this point though, only an Individual Seller Account (which is free) is needed. Once you start selling though, it is worthwhile to upgrade to the Professional Sellers account (assuming that you will be selling more than 40 per month). 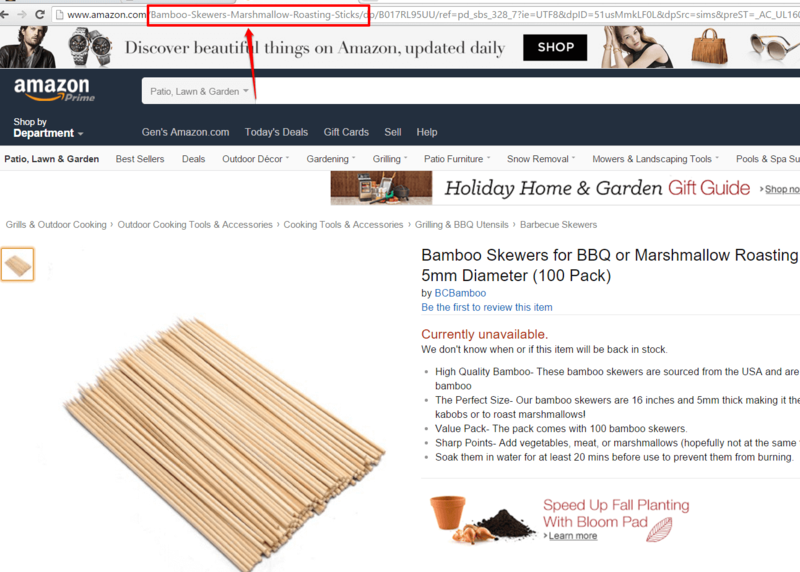 We entered “Marshmallow sticks” to find some of the Categories that Amazon suggests. The Categories are not super important, mainly because Amazon is such a keyword and search query focused platform. However, it also helps to take a peak at the competition to see the Categories that they are having success with. And therein lies a key tenet for Amazon success: identify what is working well for other sellers, and optimize and improve where there is opportunity. For the title then, we wanted to incorporate as many keywords as we could, in order of priority and relevancy. Marshmallow roasting stick bamboo skewer 36” 110 per unit campfire camping hotdogs corn. 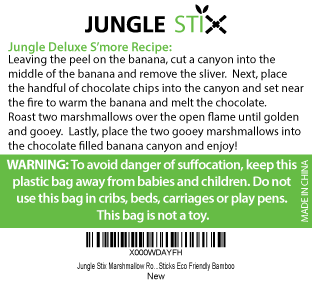 You’ll notice that we did not include “Jungle Stix” in the Title at the moment because no one knows the brand, and no one will be searching for it. However, you never know what product Jungle Creations may release next to internet viral fame, you will have to stay tuned…. A lot of the fields aren’t necessary to complete in. It doesn’t necessarily hurt to include the information, but if it is not necessary and we do include some information that limits the search volume we can compete for, then of course it is best to not include information that you don’t need to. Another Pro Tip from Scott at this stage of creating the product listing: set up your listing to have the potential to be a variation in the future, ie as a “variation theme”. This means that down the road, depending on how the product sells, we could include a metal variation for example, or bundle these together into a 3-pack or some other variation. It is best to create the optionality for future variations, instead of ignoring the Variation Theme now and having to deal with Seller Central in the future (which may be a large investment of time and energy, or even a loss of reviews). You don’t need to include any photos at this point, you can just upload your label but without product at Amazon’s warehouses, this is a moot point at the moment. We are looking for high quality product photographers at the moment though, and ready to invest in the best, as it will pay dividends in the future with an increased conversion rate and improved ranking. How many characters are you allowed to include? Amazon states that it is 100 characters, though by looking at some competitive examples, this limit can vary based on Amazon’s whims, er, testing. Regardless of what our limit is, it is most important to include as many characters as possible in these bullets, as we want these to appeal to the customers as well as Amazon algorithms. The images, Title, and price will hold a greater influence on our sales, as will reviews, but we definitely want to make these product descriptions as robust as possible so that we can get the most keyword exposure once our PPC campaigns are on as well. 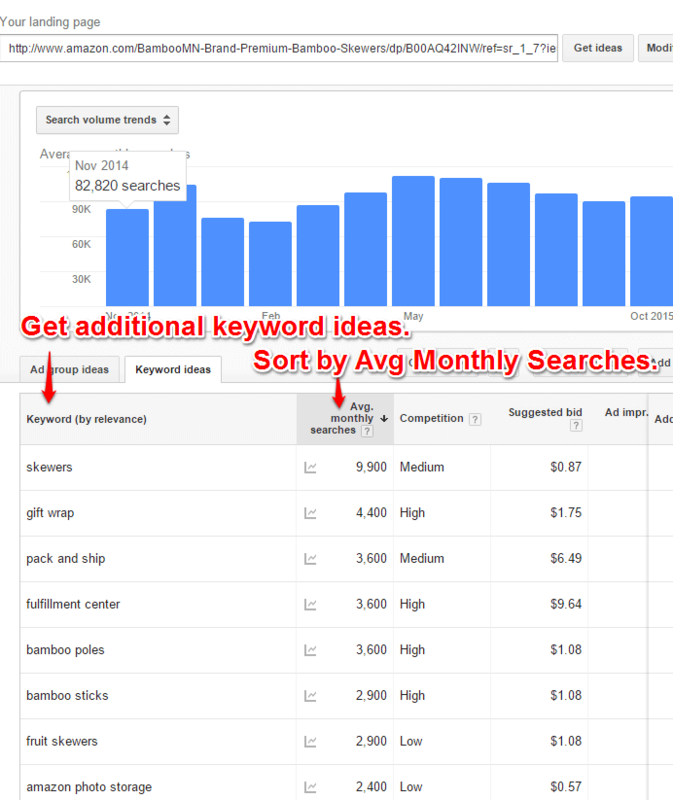 In addition to peeking at competitive listings, Google Keyword Planner will offer some good suggestions, as well as a proxy (based on Google searches per month) for how much volume a given search query will get. 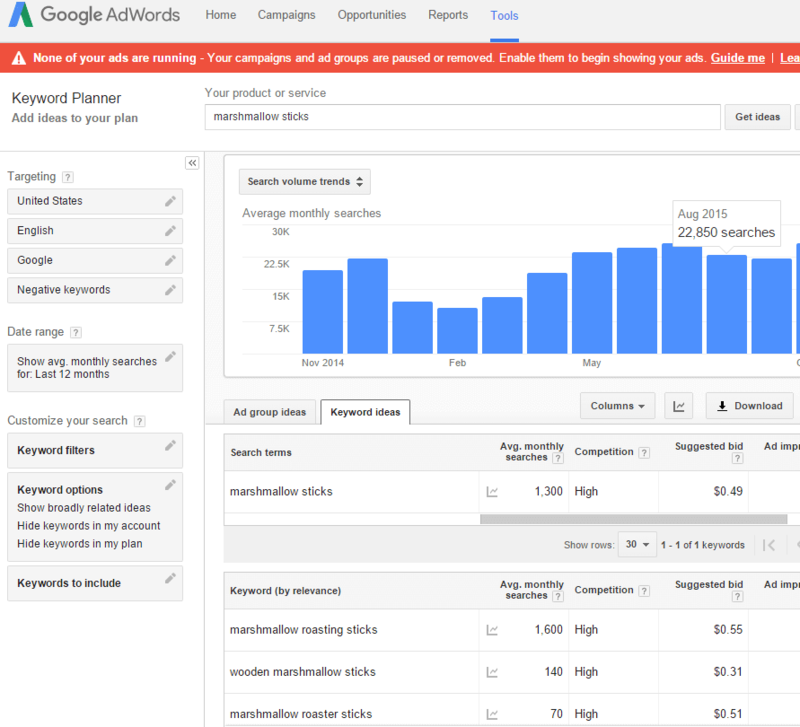 The Google Keyword Planner is completely free (you do have to create an AdWords account though, you can do so here, but you do not ever have to run any campaigns or incur a cost]. Part of your product listing will not be visible to the public, but is intended to add more information to help Amazon know what keywords and audiences are relevant for your product. If there’s one Pro Tip from Scott that you’ll want to know, it is this: DO NOT INCLUDE COMMAS IN YOUR BACKEND KEYWORDS. Amazon interprets commas (and punctuation in general) as an indication to refine and narrow the keywords that your product could match for. 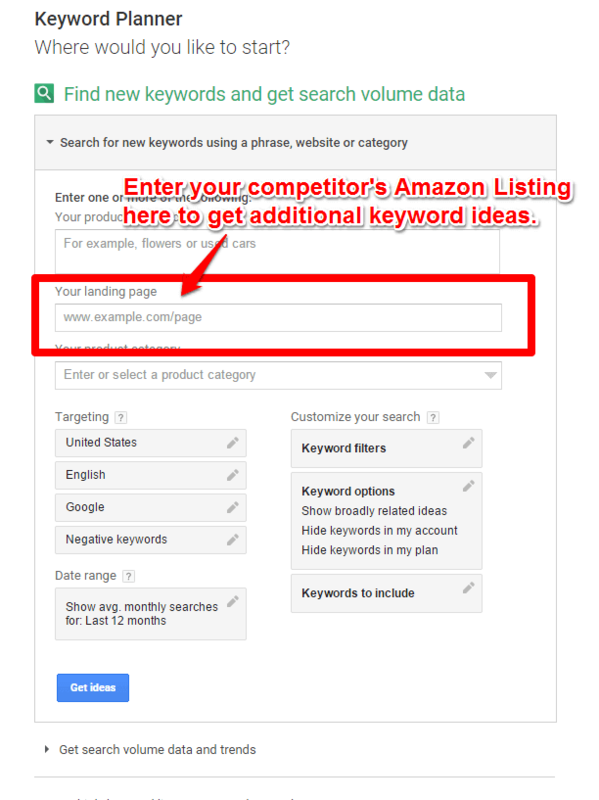 His recent experience with commas in this keyword section resulted in Amazon only suggesting a couple keyword ideas in the Autocampaign and Suggested Bids campaign. However, when the commas were removed, Amazon all of a sudden included more than a hundred suggested keywords. All just by removing the commas. So don’t include commas in the keyword section! There are many additional sections that are additional fields but not necessarily relevant to our product (for example, product material, moisture instructions, etc). Not all of these are needed. “Package Dimensions”: is used by Amazon for calculating the FBA fees. Therefore, it is best to wait until you have the actual product in hand and can enter the accurate measurements in this field. Pricing: The “Suggested Retail Price” is going to be the highest price, and one which you can include a strikethrough if you add the discounted price. To really nail home the discount in the customer’s psyche, you can also have the “Sale” price to show an additional markdown. It is common practice to at least have a discount on the Suggested Retail Price, even if it is common knowledge that it is all part of the Amazon dog-and-pony show. So that about leaves us with an optimized first draft of our Amazon listing! It is important to note though that much of this (outside of the UPC code) can be altered down the road, and in fact should be optimized on an ongoing basis based on what sales data and customer search query data we generate once the product listing is live and our PPC campaigns are running. There were a few questions regarding sales tax and best practice. As it is so dependent on a case-by-case basis, Scott recommends the resources at TaxJar for further information. And when will we meet again for our webinar? Well, that depends, of course! In our next webinar, we will cover how we create the fulfillment order, and the process and strategies we took with our product photos. Plan for sometime in early December after Turkey Day. In the meantime though, please drop any comments or thoughts in the comments below, join our Facebook Group at the FBA Competitive Edge, or learn tons more from Scott, whether on his podcast, blog, or Facebook group. He is a tremendous resource and has much to offer, so definitely take advantage of that. Until next time REGISTER HERE SO THAT WE CAN LET YOU KNOW WHEN THAT IS…. Good read. Did you factor in the design artwork into your selling price? Hello, when I want to create a new product I get a place to add the Asin !!! But I do not have ASIN IF IT IS A NEW PRODUCT.On that I love it automatically. I’m not sure what you mean. Amazon should autopopulate the ASIN position for you once you enter your UPC. All of these webinars and postings have been greatly helpful so thank you for that. Do you have any recommendations in how much inventory we should start off with for our first order to the FBA warehouse? Since this will be my first product to FBA I am not sure how well it is going to sell and am hesitant to put in a huge order. It depends on how much you want to invest. Some sellers decide to go with small volumes to begin, in order to test the product. If you can find a supplier on Alibaba that is willing to do small volumes that is great, but I find that most have a minimum order quantity of 500pcs. You can also try AliExpress for small orders of inventory. It generally means your costs won’t be as good, so you won’t make as much profit on the first order… but if it helps verify your product idea further then it may be worthwhile. It looks like you guys have a copycat! Blazin Sticks (http://a.co/gwcRAio) seems to have followed this case study to a T! Everything down to the label, the quantity, diameter, length, and the packaging is virtually the same. The only differentiation I can see is the tip is slightly longer, but the seller makes no point of this in the description (no pun intended). I used the free Jungle Scout estimator tool, and it seems this seller is still making 600+ sales a month (over $10K!) in spite of not having come up with any differentiation of his own. What do you guys think of competitors like this? Do they pose a threat, or will their strategy ultimately fail in the long-run? Despite being unoriginal, this seller seems to be pretty successful. Haha thanks for the heads up – this is nothing new to us though, we’ve had several people copying our product ideas from the case studies. It’s pretty sweet that the demand is so high that this seller is getting a lot of sales without any differentiation. We could definitely up our game with some listing improvements, product inserts and new photography to make ours stand out and refresh our listing at this point. When the demand is so great like that, I would say that copycats can be a threat but so long as you stay alert and make efforts to optimize your listing and so on then it’s not a deal breaker. Did you all have your manufacturer put your designed label logo on the package or did you add the label once you received it in the mail? If your manufacturer put the label on there did you have to negotiate this into the terms of your agreement? Also where do you get the FNSKU bar code from? Do you get this from Amazon prior to giving it to your designer? Thank you in advance for the response!!! I see that earlier this year seller support has advised us that we can’t combine the FNSKU bar code with the suffocation warning or a logo on the same sticker. Did you have any trouble doing this or have you heard anything else about it? When I enter my competitors landing page into Google Keyword Planner, the results are completely unrelated. I don’t know if they changed something or what. Is this working for anyone else? Wow you are right – I just tried this too and had the same results. Not sure if this is due to an update Google have made to the tool or an error. I will keep an eye out for some updates. If anyone else has spotted the same thing or has any insights, let us know! Do we have to take the middleman step of getting the product delivered to us before amazon? Or is there a way to send direct to amazon? I am guessing there may be a third party you could hire for quality control? First I like to say that this is BY FAR the best webinar I’ve seen about product lunching, thank you so much for sharing your knowledge! I have a question about FNSKU printing. Do you knows if it is OK to print the FNSKU directly on the package (My package is a plain brown color cardboard) instead of printing stickers with FNSKU and stick them on my product ?